- Enjoy 100 recipes that are healthier than typical air-fried foods, which can contain too many hidden calories and too much fat. - Get exact calorie counts and detailed nutrition information to help you stay within the USDA's recommended daily allowances. 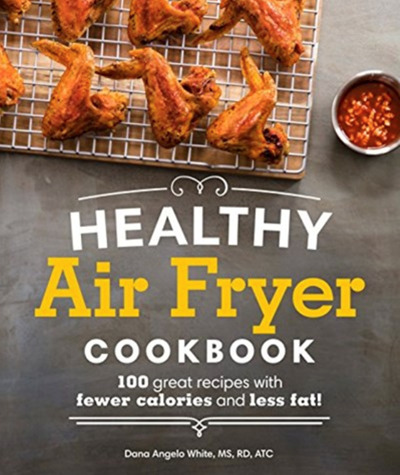 - Make healthier versions of traditionally fried favorites, including French Fries, and fried chicken, as well as lighter snacks, such as smoky kale chips and sriracha honey chicken wings. - Satisfy your sweet tooth with lightened-up treats, including sea salt brownies, apple turnovers, and chocolate lava cakes. - Fry, bake, grill, and discover how versatile your air fryer is and how you can use it to make virtually anything.